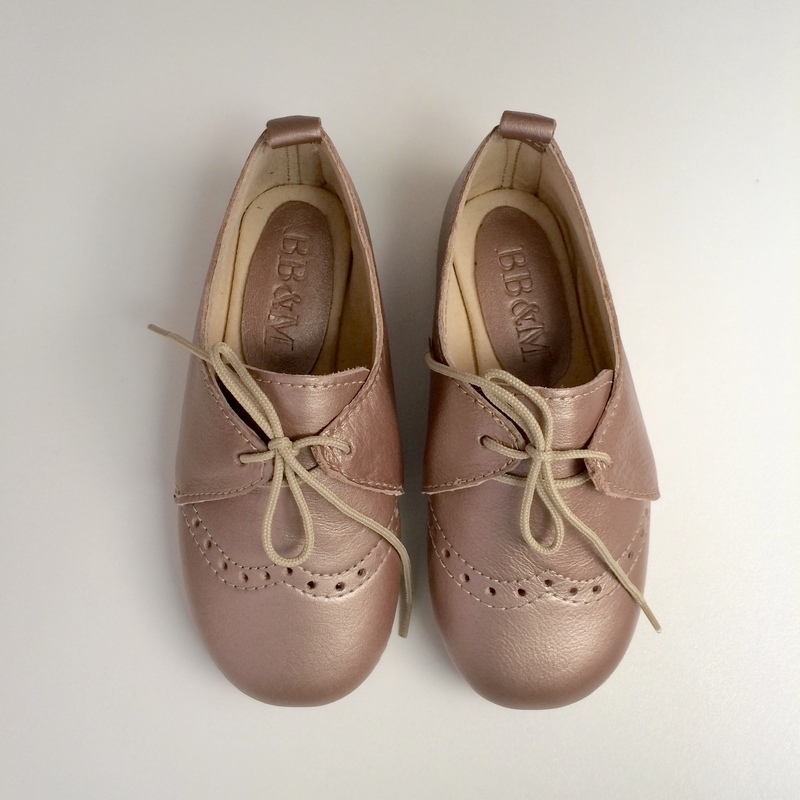 Our handmade shoes are crafted in genuine leather & lined with soft suede leather. Fitted with special grip soles. 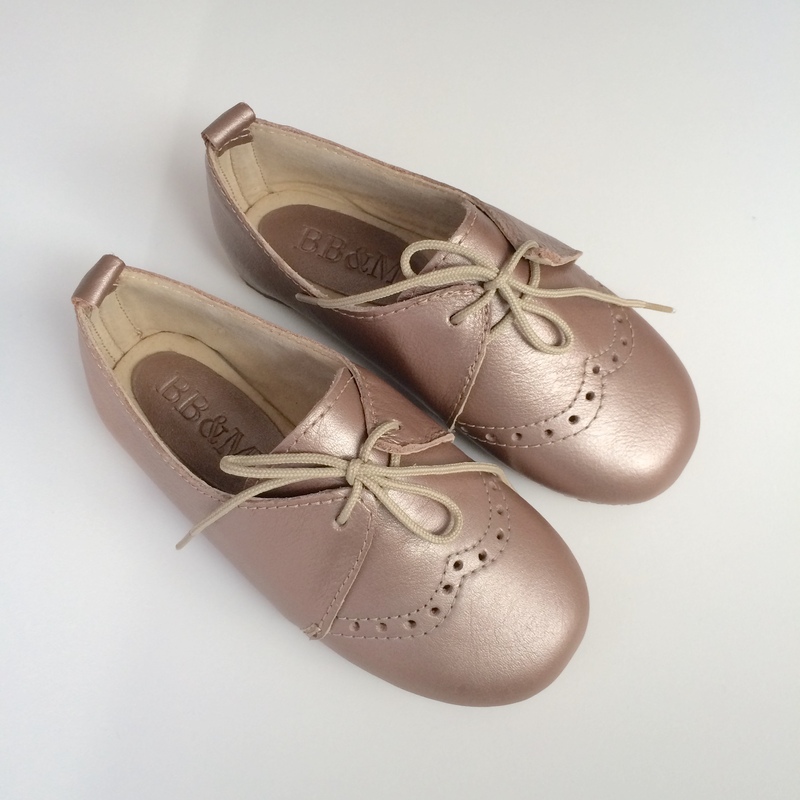 Notify me when Size 7 Girls Rose Gold Lace-ups with broguing - GL1 is available.